Originally this stone was placed on a small mound. However at the end of the 1700’s, it was moved to the bridge across the Bagå. It was rediscovered in 1868 as a capstone built into the bridge. It was removed the same year and placed at it’s present location. 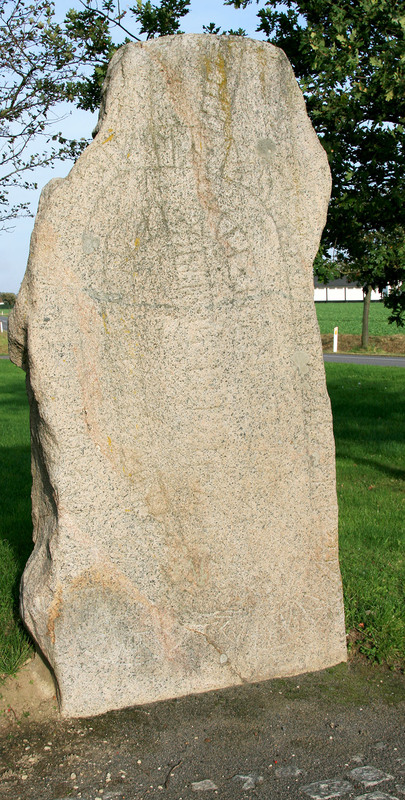 It is the large runestone on Bornholm. The inscription reads: ‘Svenger had this stone made after his father Toste and after his brother Alvlak and after his mother and after his sister’.